Hand woven. Hand blocked. Hand finished. 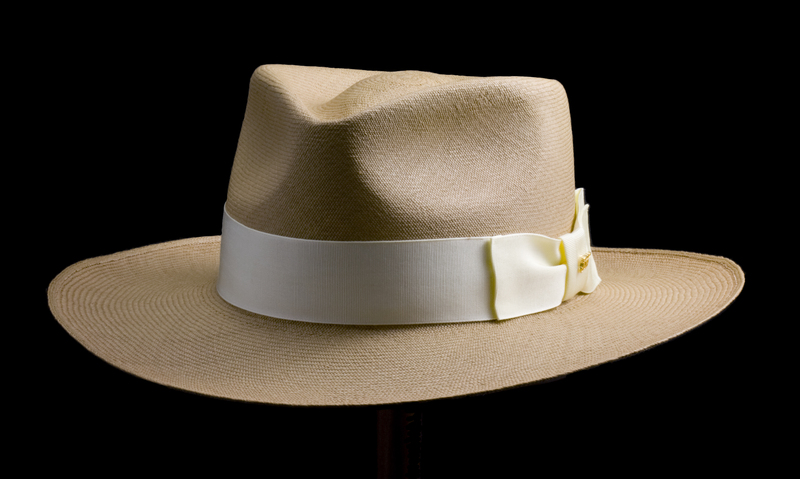 As finely woven as some of my Montecristi hats. I love these. 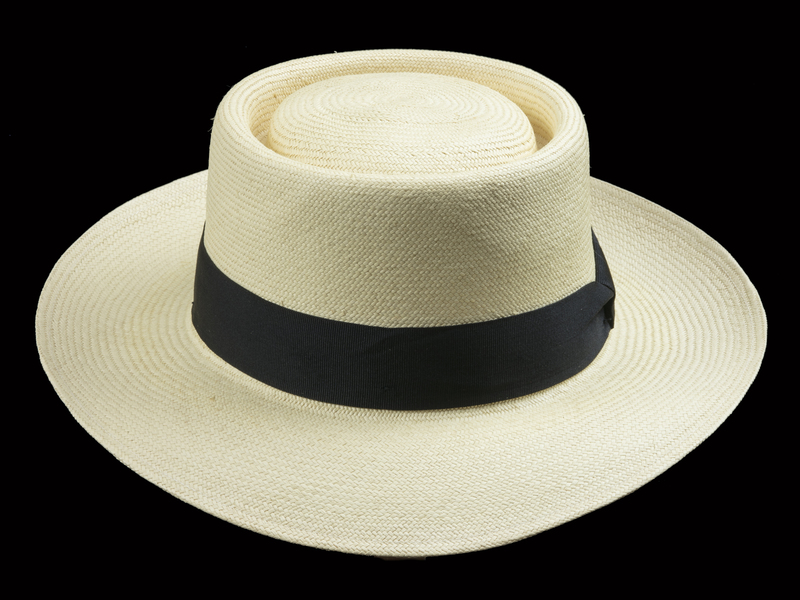 True, they are not Montecristi Panama hats. True, I am a hat snob, a total Montecristi nut case. But I really like these. 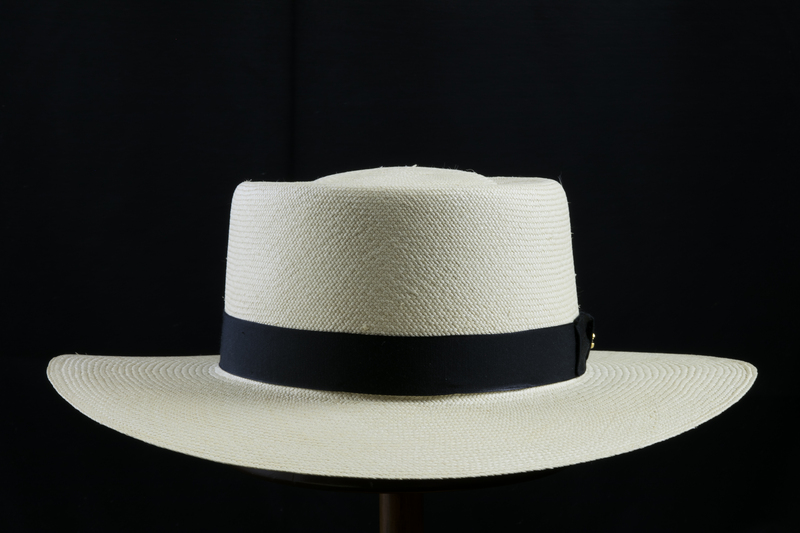 They are genuine Panama hats, hand woven in Ecuador, hand blocked here in Hawaii. 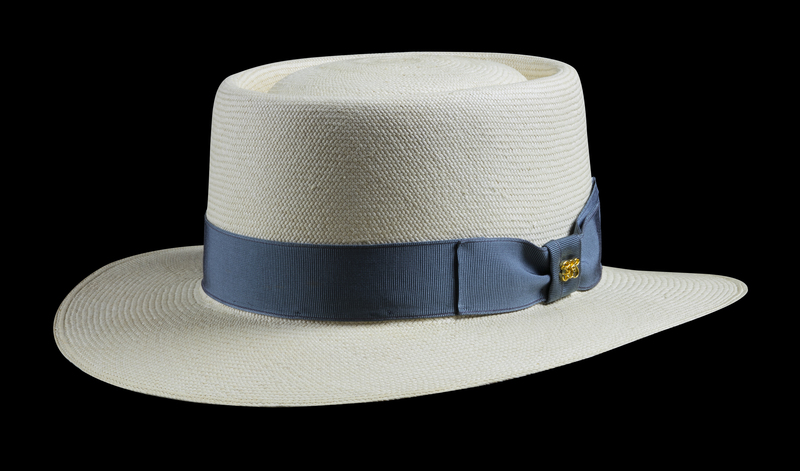 The weave is usually nice and even, the count is comparable to some of my Montecristi hats. Two colors – “Cocoa” and “Blanco”. Tan and white. Dyed and bleached. I call the color of the dyed ones “Cocoa”, because calling the color “Dirt” doesn’t sound very alluring. But, fact is, these hats must be the color of a lot of different kinds of dirt, and some foods, because my personal hats still look good after several years of adventures. “Cocoa” colors vary somewhat from dye lot to dye lot, and they never look quite the same on my computer monitor as they do when I just look at them. Whatever color they may be, they have become more and more popular every year. My clients love these. Many have several. 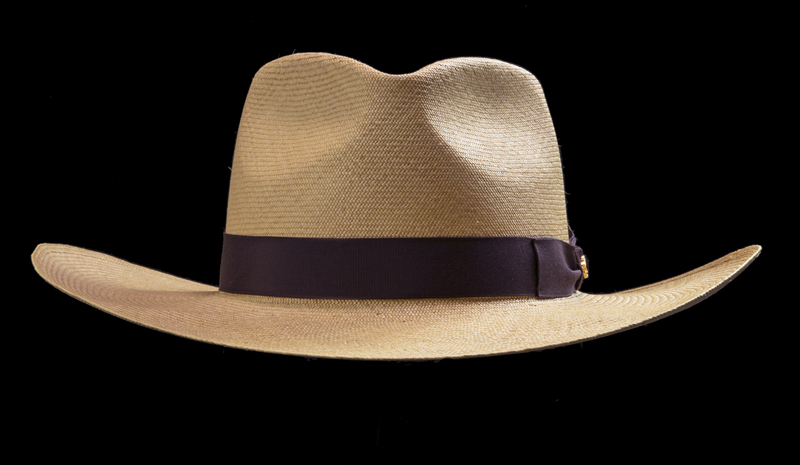 Safari Edition hats are all hand woven, all with woven brim edges. All hand blocked and hand finished. Custom sized. Many ribbon choices. These are not your normal Cuenca hats. 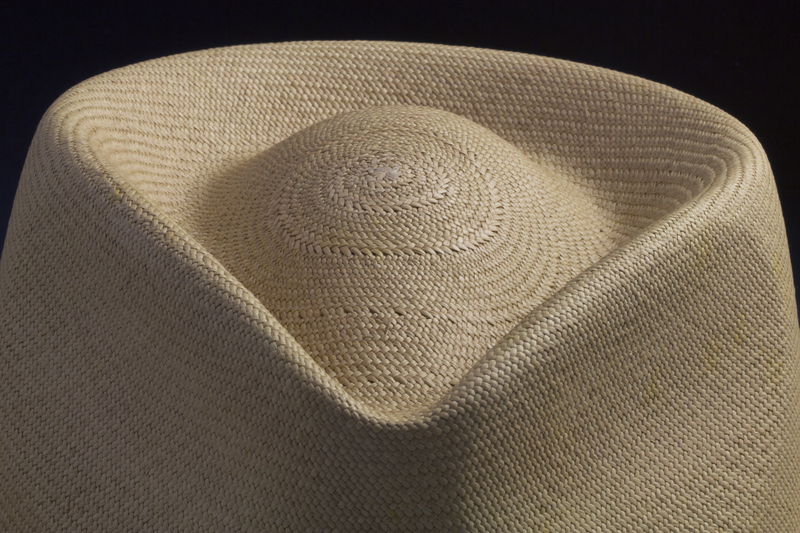 Much finer weave than the normal factory-made Cuenca hats you might see in hat shops and department stores. 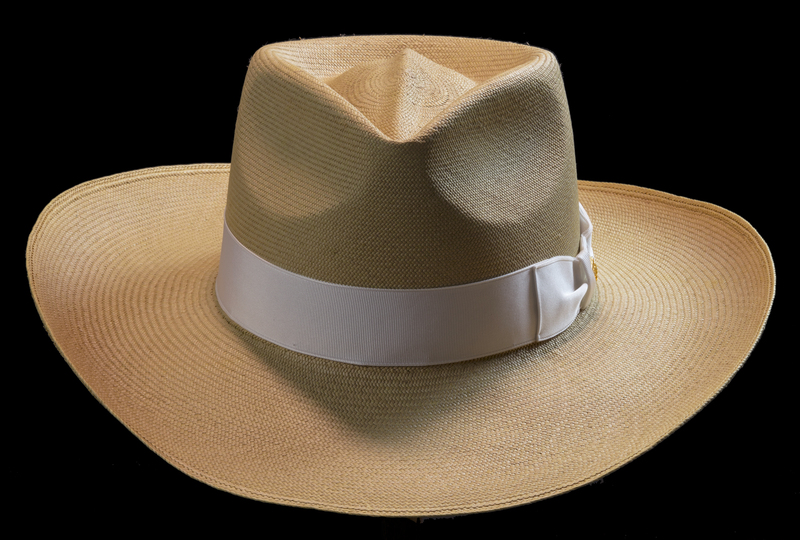 Also they are what is called a liso weave, which is the same weave as Montecristi hats. 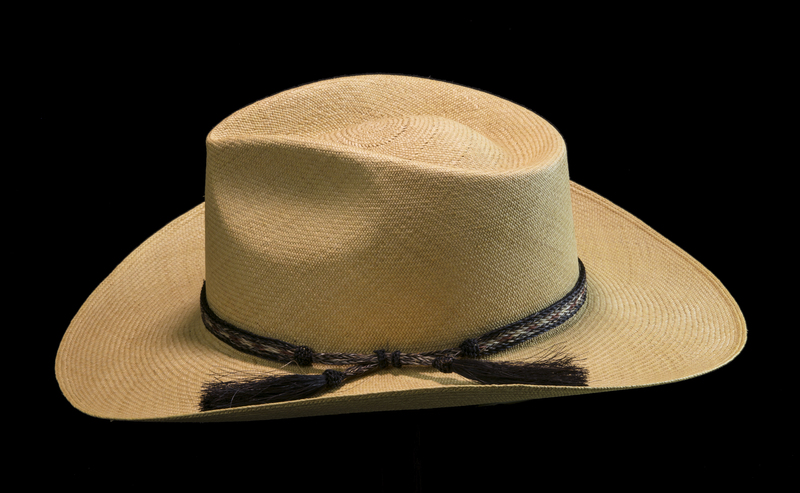 Most Cuenca hats are what is called a brisa weave, which is a faster, easier, cheaper type of weave. 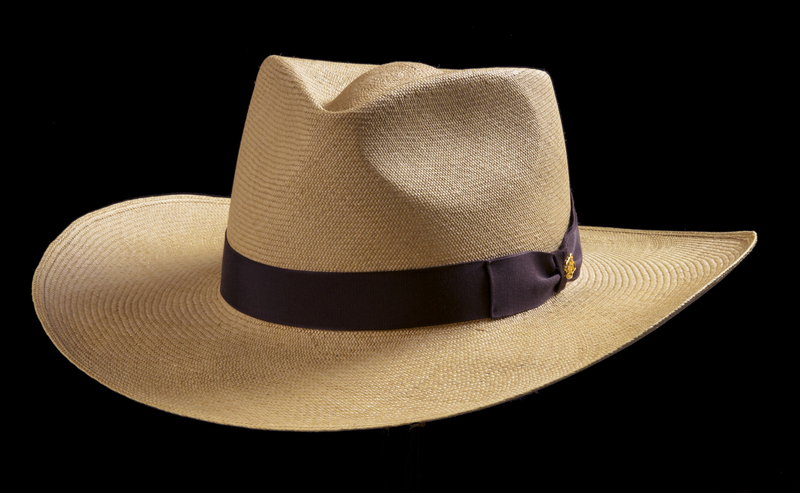 These hats have comparable weave counts to some of my hand-blocked Montecristi hats. 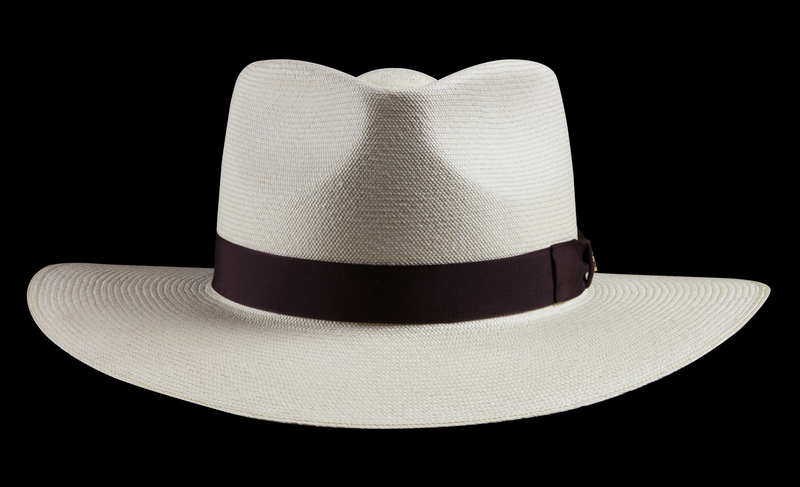 Yet even with the same weave count, hats woven in Cuenca are thicker, fuller, heavier than their Montecristi cousins. This can be good. 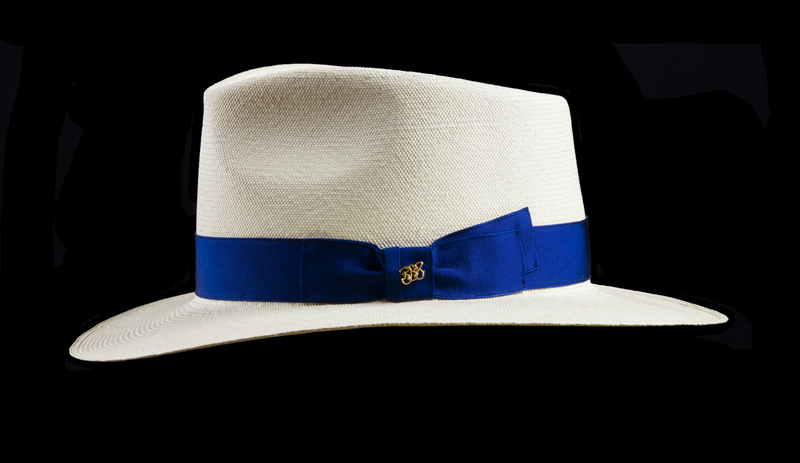 These are firmer than most of my Montecristi hats. Definitely not soft and cloth-like. 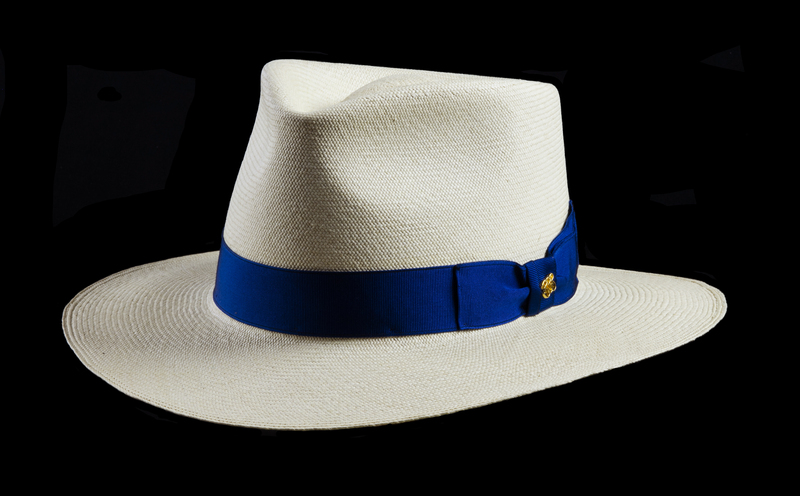 They are hand blocked and hand finished, just like my Montecristi hats. 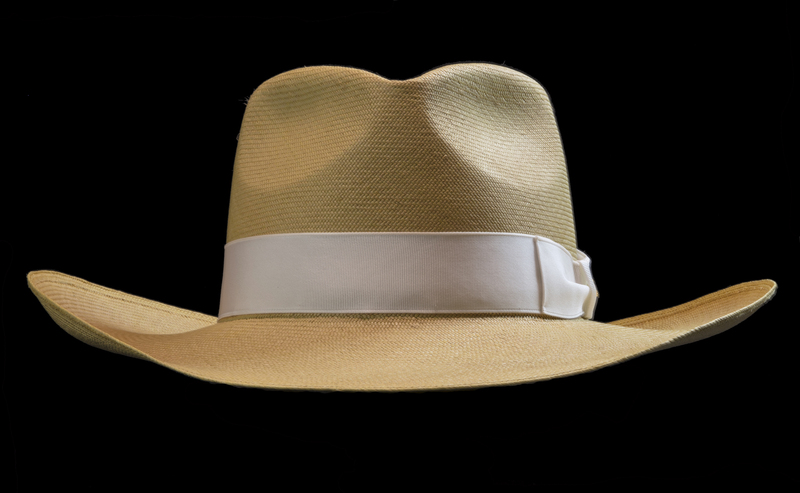 The brim style you see on the Kentucky Smith® SE, the Mombasa SE, and the Bahama Beach SE is called an “adventure brim.” First, I make the brim flat all around, then I shape it to dip down in front and back. 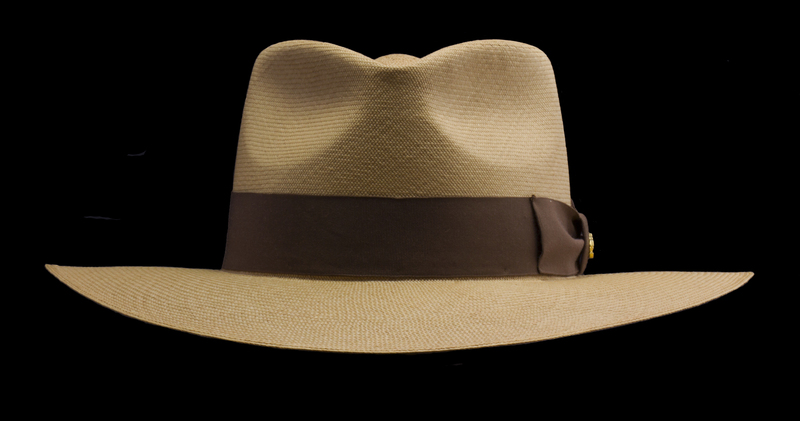 When viewed in profile, the brim makes a nice arc. 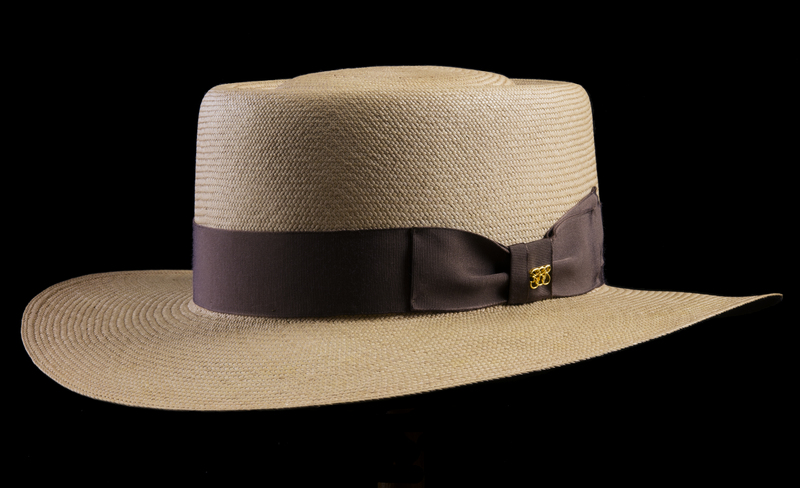 An “adventure brim” could be anywhere from 2.5 to 4 inches, or even wider. It is the shape, not the width, which defines the adventure brim. As a brim gets wider, gravity becomes more interested in it. 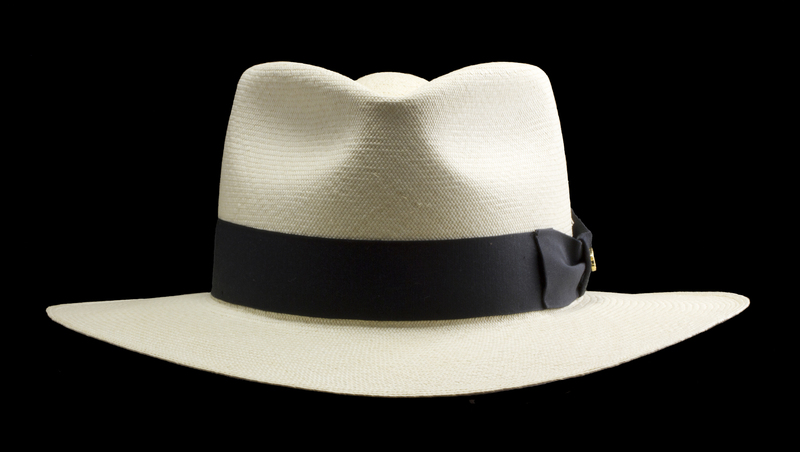 The wider the brim, the more gravity will want to pull it down and change its shape. 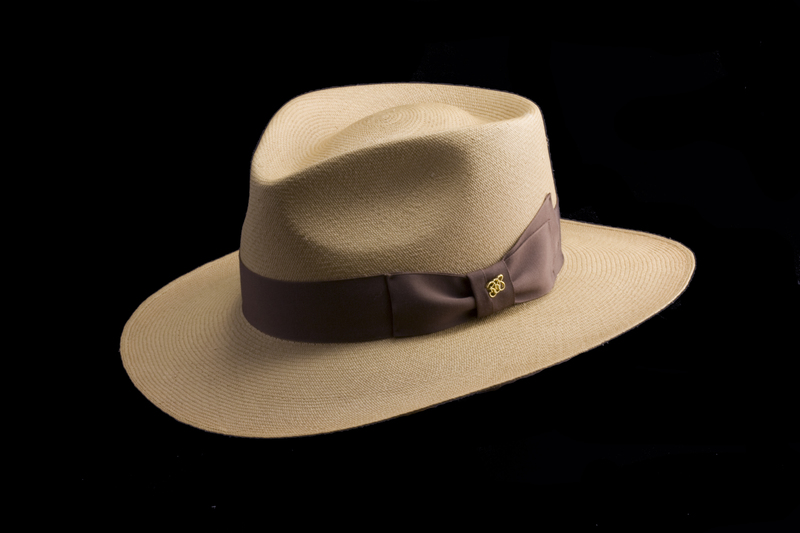 I do put some stiffener in my adventure brims, but stiffener has limits. 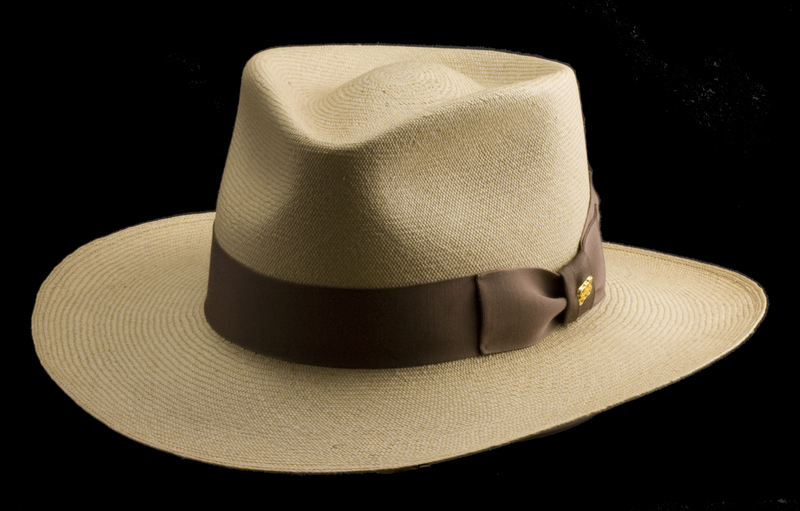 Adventure brims generally hold their shapes well from 2.5 to about 3.5 inches. A 4-inch brim is a lot of brim to keep smooth and nicely arced, as gravity, wind, etc. have their way. But it is certainly possible. 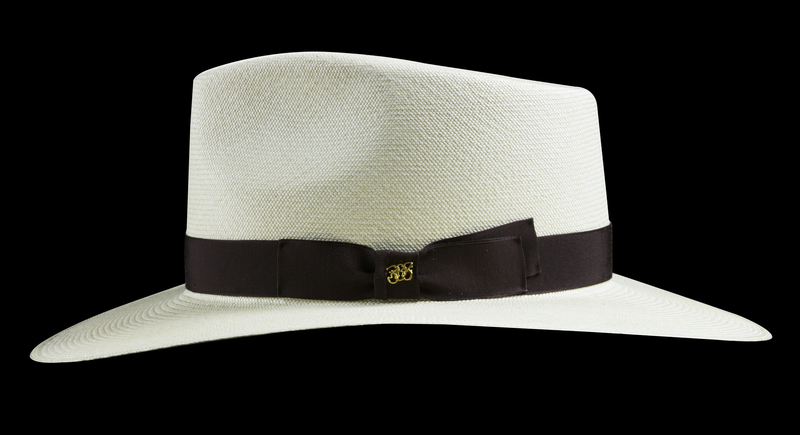 For anyone with a hat with an adventure brim, I definitely recommend my Brim Arc Form. The wider the brim, the more strongly I recommend it. If you’re a handyman type, by all means make your own and maybe save a few bucks. The important thing is to have this type form to maintain your adventure brim shape. 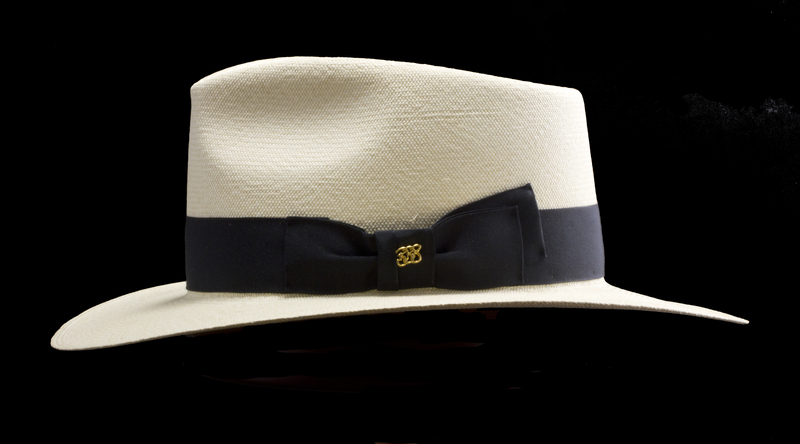 When you store and display your hat on the form, gravity works for you, pulling the brim into the shape you want. 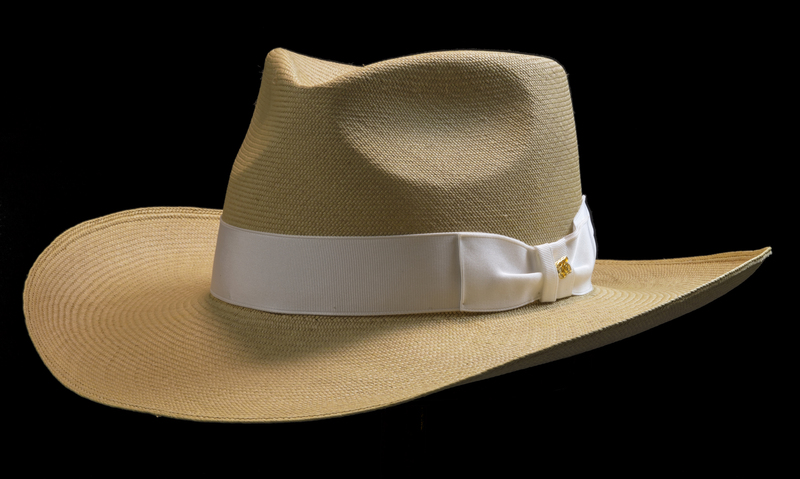 And you can iron your brim smooth and restore the arc shape as often as you wish. 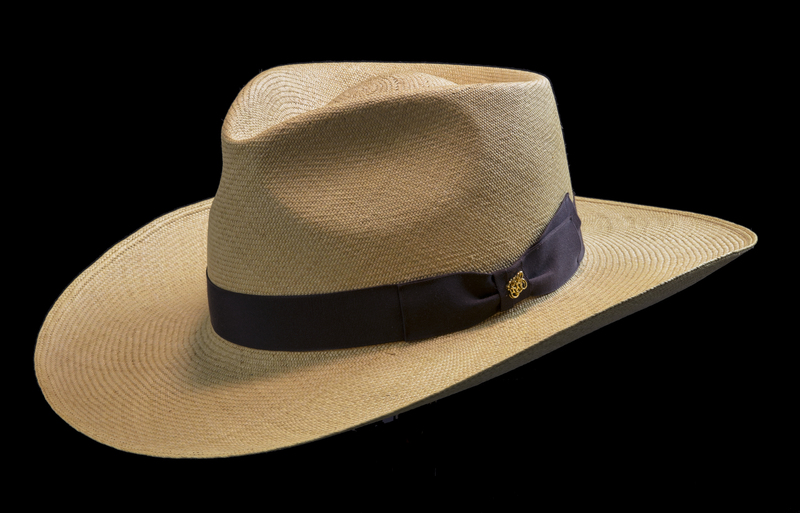 NOTE: NOT ALL BRIM WIDTHS ARE AVAILABLE IN ALL SIZES AND STYLES AT ALL TIMES. BUT I TRY. Safari Edition hats on safari. Kentucky Smith may not be as famous as that Jones guy from across the river in Indiana, but he wears a much cooler hat. There are other differences. Kentucky Smith maintains a tropical state of mind at all times, in all places. Almost like a religion. Makes Jimmy Buffett look like Nanook of the North. In Tibet, Kentucky’s unusual wardrobe choices won him the awed respect of local lamas, who could clearly see the challenges of white linen and vintage rayon at 18,000 feet. Very Zen. 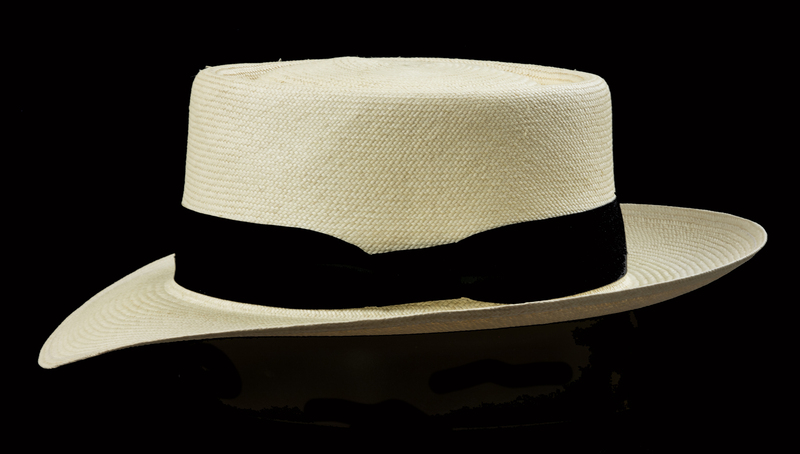 Naturally, he always wears a Panama hat. The Kentucky Smith® SE “Cocoa” is his choice for serious adventures in outrageous places. Places where a blackberry is still something to eat. In the city, and fashionable suburbs, he often favors the “Blanco” version. During the day. At night, he goes back to the been-through-hell “Cocoa” safari hat. Chick magnet. Tell her the A1 Sauce stain on your brim is blood. From the Congo in ’03. Don’t say whose. Be brave. Look at the photos. You can see for yourself you’ll be in the middle of some sort of adventure within an hour of putting it on. You’ll be the one whose hat everyone envies. Tip Choose adventure partners with much larger or much smaller heads. Warning When your Kentucky Smith® hat arrives, don’t open the box! First, gas up your car, go to the ATM, put your attorney’s business card in your pocket, leave a note. Okay, you can put it on now. Kentucky Smith® was born in Kentucky. Coincidence? I can tell you from personal experience that there are no tropical islands in Kentucky. Lots of basketballs. Fast horses. Bourbon. No tropical islands. A life without tropical islands is a life that needs tropical islands. Ask anyone in Chicago in January. You know the feeling, right? You look out the office window on a cold, dreary day, and you know to the core of your being that if we lived in a fair and just universe, you would be instantly transported to a perfect tropical island, sitting comfortably in the shade of a coconut palm, cold rum drink in hand, savoring the salty-sweet smell of ocean and coconut oil, tapping time to reggae music, eager for the grilled shrimp to arrive. Here’s the remedy – a Kentucky Smith® SE “Blanco”. 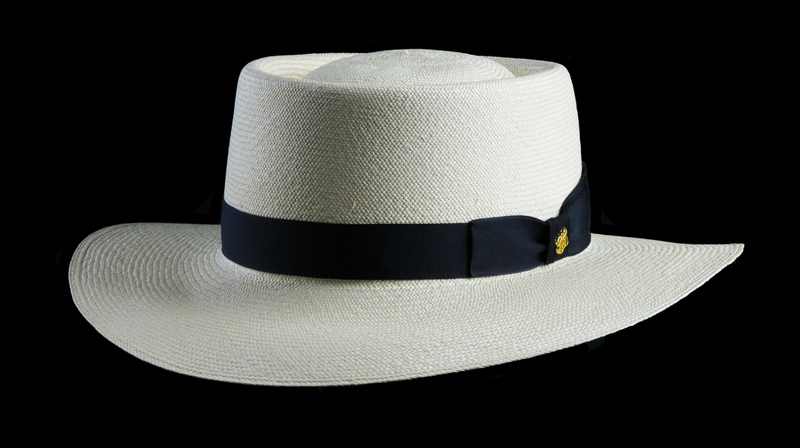 A truly classic Panama hat. Put one on and you are suddenly ‘stylin’ ‘neath the palms. TM Even where there are no palms. Yes, even in Chicago in January. Works every time. If you can’t go to a tropical island, bring a tropical island to you. INSTRUCTIONS: Put on your Kentucky Smith® SE “Blanco”. Put on the Marley music. Put your feet up. Pour a friendly shot of Ron Zacapa. And know to the core of your being that you do, in fact, live in a fair and just universe. 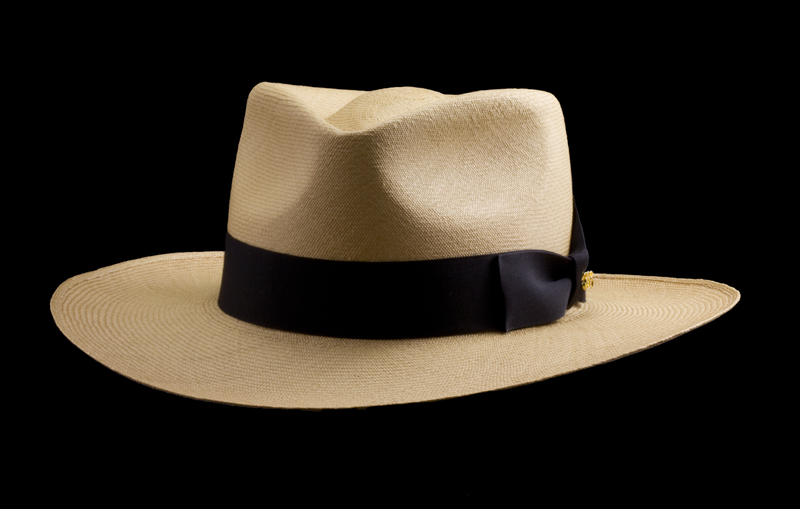 Extra shipping cost outside of U.S.
Did anyone at the OK Corral wear a Panama hat? Probably not. 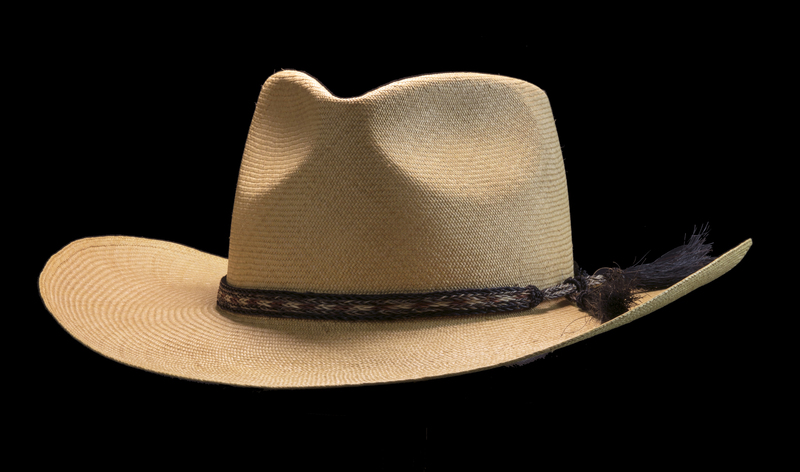 It was just impossible to get a really good Panama hat in Tombstone, Arizona in 1881. But if my West Panama SE had been available, even by mail order, maybe-- No. No one would be fool enough to wear his favorite hat to a gunfight. You put on your favorite hat when you’re fixin’ to mosey over to the saloons and dance halls and gambling establishments. Places where you might encounter females of the species. Definitely a Western hat style. The brims are shaped on wood forms discovered in an attic space in a building in West Colorado. The space had been sealed off and forgotten for nearly a hundred years. Then rediscovered during a building renovation. Sweet. Recycling at its best. 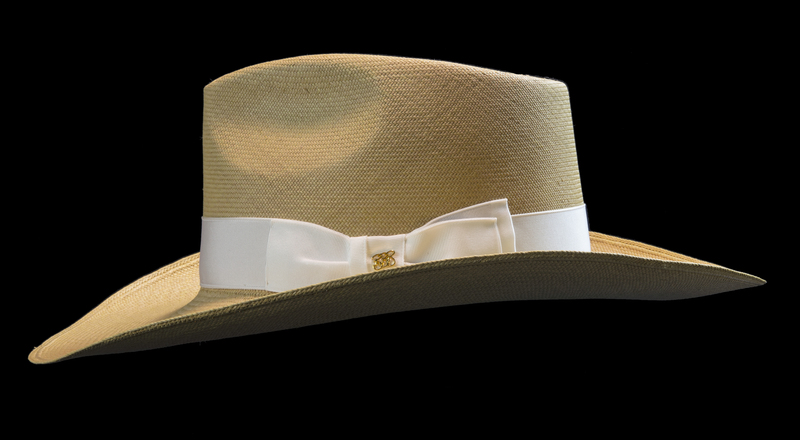 Brims can be wider than most styles. Four inches, maybe a little more. 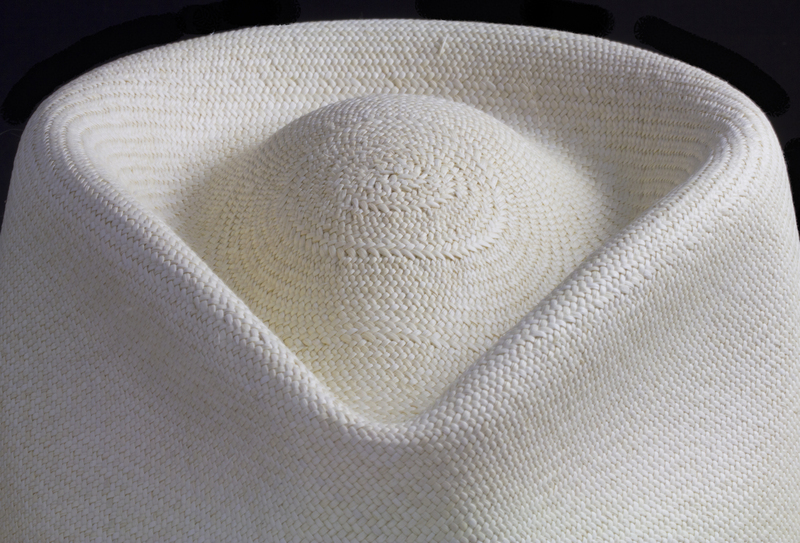 You have three brim width choices – 3 to 3 3/8 inches, 3 1/2 to 3 5/8 inches, 3 3/4 to 4 inches or more. Crown shape is an absolute classic. Pinch front, teardrop top. 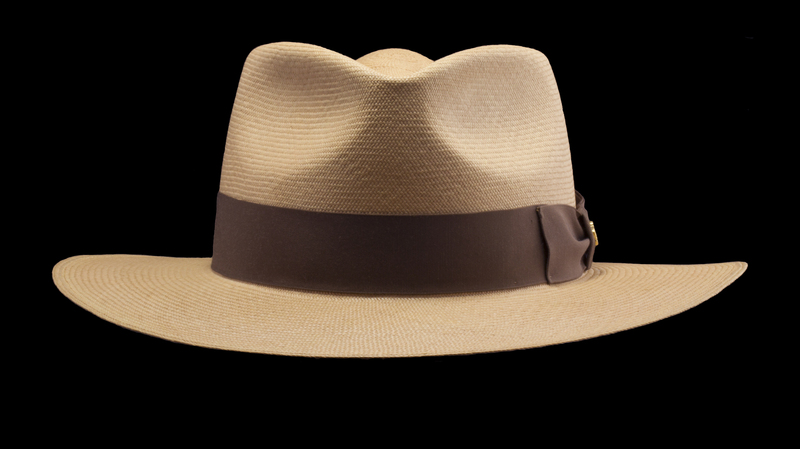 Same crown as my most popular styles: Kentucky Smith®, Classic Fedora, Hemingway’s Hat, Plantation, Aficionado. 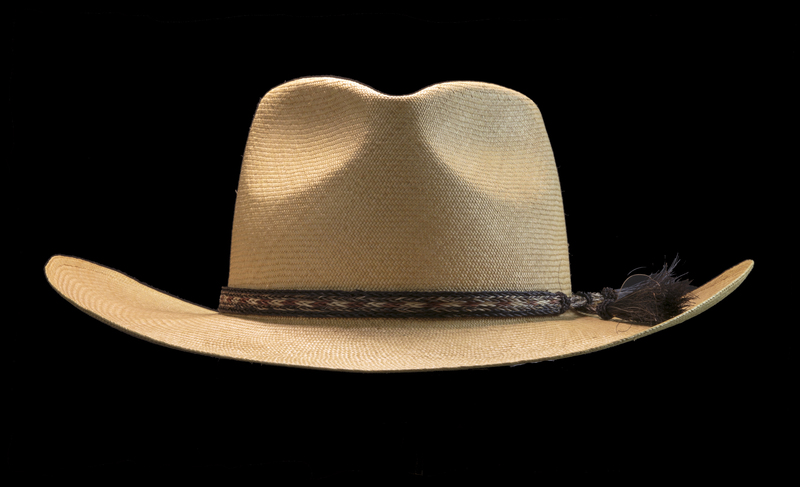 Perhaps you’re wondering, “How does a Western hat style make sense as a Safari Edition? Safari? In the West?” Absolutely. Well, depends how you define safari, I suppose. If you accept the Swahili usage, to mean “an overland journey,” then I direct your attention to Francisco de Coronado’s 1540-42 overland journey out of Mexico, up through Arizona, across New Mexico, through the Texas panhandle, all the way into eastern Kansas, and back again. Definitely a serious overland journey. 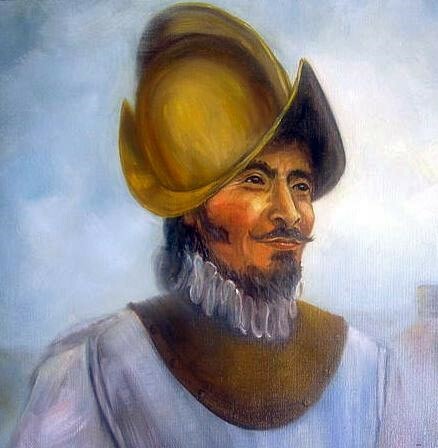 Remember what kind of hats the Spanish conquistadors wore? Remember those drawings, in your history books, of Spanish conquistadors wearing goofy iron hats with iron brims, pointed up in front and back, with an iron ridge crest on top? Ha! Tell you what – if I’m going to travel overland through New Mexico and Arizona in the summer, that’s not the hat I would choose. Nope. On those 110-degree days, I would not be yearning for an iron oven to put on my head. 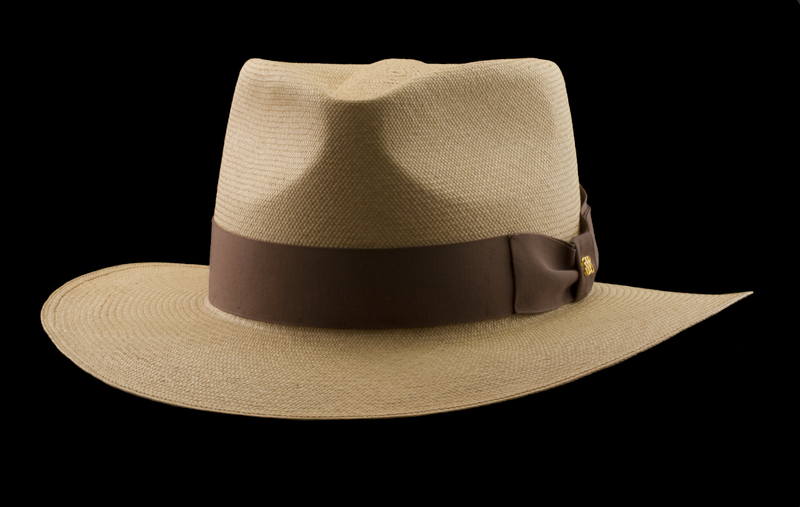 I’d be seeing mirages of hats made of a material considerably lighter than iron. With a much wider brim, one that wouldn’t burn my fingers. A sweatband would be good. And if the hat might let a little air in and out, that would be a blessing. Talk about a business opportunity – imagine you owned a little trailside hat shop when Coronado and his troops came conquistadoring along in 1541, sweating through another cloudless scorcher, wearing those ridiculous iron hats (called combed morions, in case you need it for a crossword puzzle). My West Panama SE would have looked like a gift from the angels. You probably could have bargained for at least one of the Seven Cities of Cibola as your payment for supplying the troops with the coolest hats anyone had ever seen. As it turns out, you’d have been wiser to insist on cash. 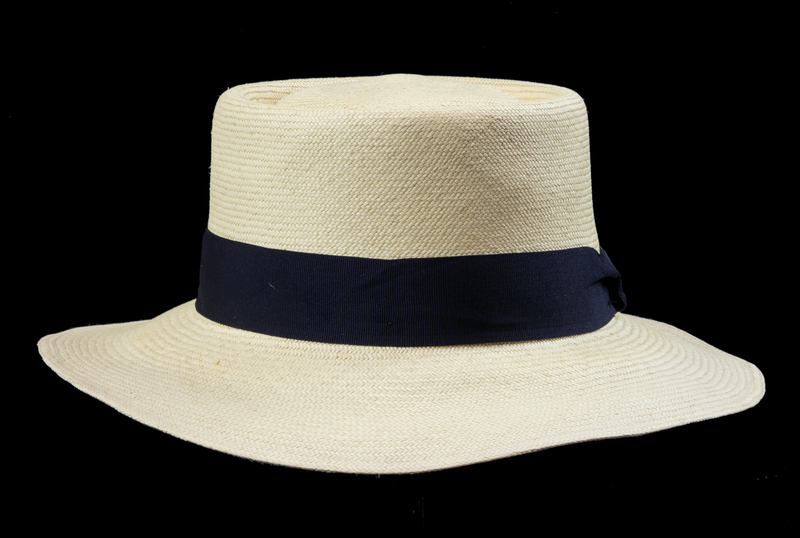 While I’m making your hat, you might want to make a list – saloons, dance halls, gambling establishments, women who appreciate great hats, maybe a few beaches where a West Panama SE would be the perfect choice. If you experience a sudden urge to rush off on a thousand-mile, Coronado-style safari, sit down immediately. Have someone bring you a bottle of single barrel something. Administer an emergency dose. Thousand-mile safari? Don’t be foolish. Wait for your hat to arrive. Lady Gillian West loves hats. And hats love her. She has a hat for every occasion, every outfit, every mood. She loves hats as Imelda Marcos loves shoes. Oprah has a walk-in hat closet. Lady West has a live-in hat house. Lady West is a lady in every sense of the word. Except when she is a Lord. She is one of very few women to sit in the House of Lords. Her family’s Canterbury estate was a gift from Richard I, bestowed the year before he went off crusading. When Lady West talks about the West, she doesn’t mean Arizona. She means West London, and she’s probably on her way to the theatre. She confesses she has never ridden a horse, never even wanted to. But winks and says she has horsed around a few times. She wears brown. Or white. Check the crease in the top of the crown. Nice touch, yes? Remember that everything is done by hand, so that is a separate stage of blocking and shaping. And part of what distinguishes this style. 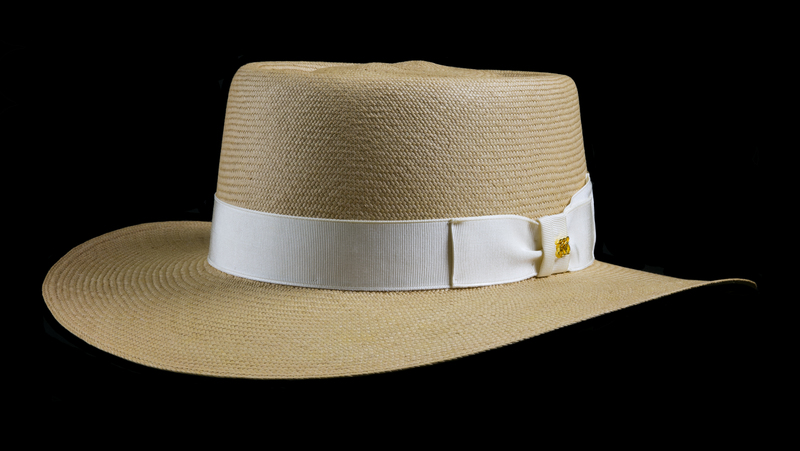 The wide white grosgrain ribbon against the Cocoa straw is perfect. I’ll put a different color ribbon on yours if you want. But you should also order one with the white ribbon. “Or too many shoes.” Imelda. 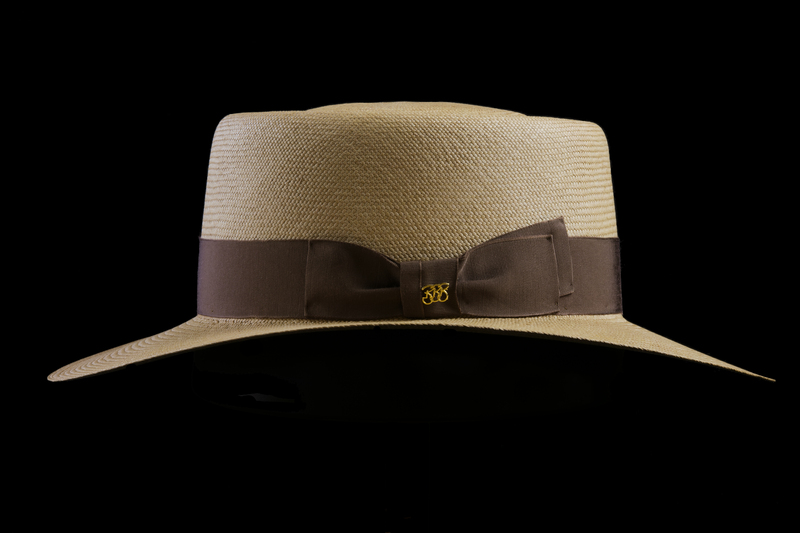 My most popular style (Classic Fedora) is also available in a Safari Edition. Yes, tickertape parades would be in order were it not for modesty and a sense of environmental responsibility. This is a hat you need to put on the short list. Why would you want the Safari Edition rather than the Montecristi Edition? Good question. Okay, I’ll help you out. They look great. Even though it is the same style, the Cocoa and Caramel colors are a completely different look. 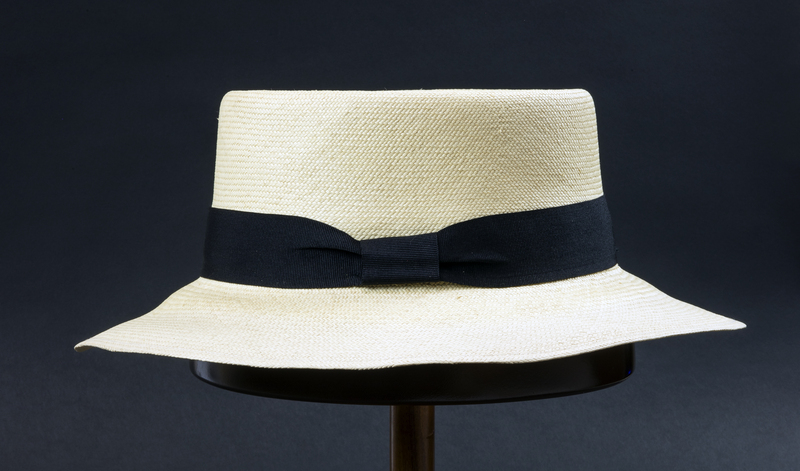 They probably hook up with a whole different section of your closet than the light-straw-black-ribbon classic Panama hat look. Field tested in Hawaii. I made a couple of Classic Fedoras SE for myself. Put a wide black ribbon on one. A wide brown ribbon on the other. Cotton twill sweatbands in both. I’ve been wearing one or the other, sometimes both, about once a week for a couple of years. Who knows how many Mai Tai’s they have survived? 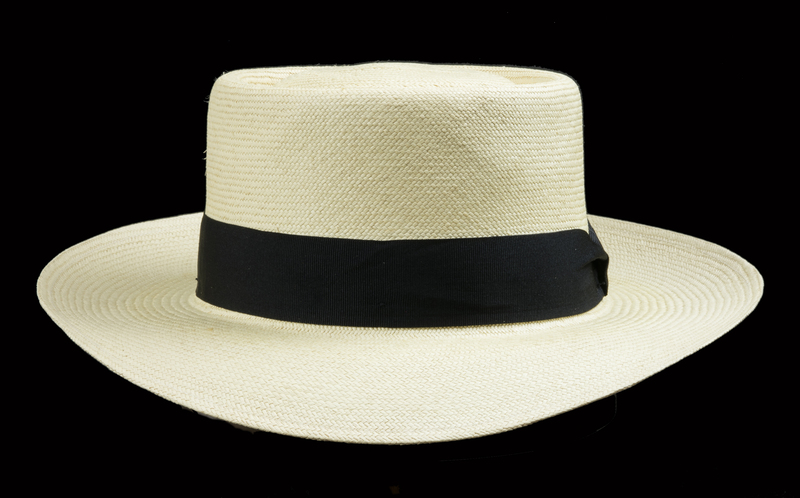 These don’t show dirt as much as traditional near-white Panama hats. 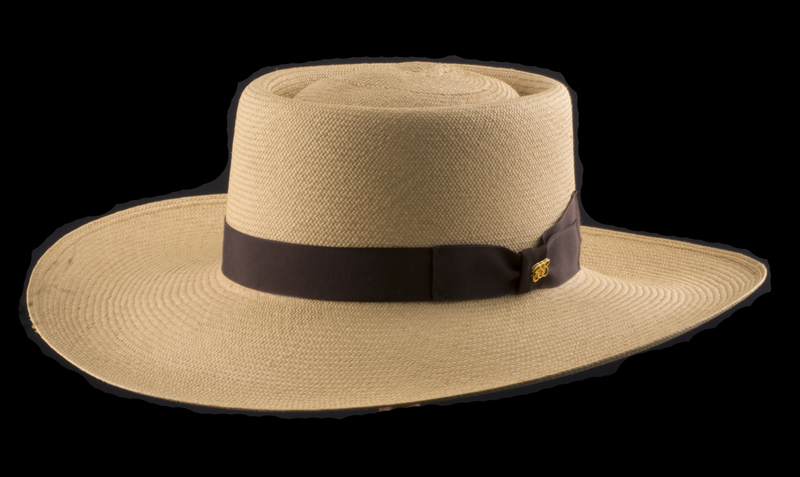 I often reach for one of these when it’s windy enough that my hat might undertake unmanned flights, and landings in places where I wouldn’t want my hat to be. I don’t coddle these hats like I do some of my Montecristi personal hats. Maybe I’ve been lucky. Maybe I haven’t abused them as much as I think. But if I have to choose one of these or one of my Montecristis to go banging around in the bush, or to put into an overhead luggage compartment, no contest, amigo mio. No guarantees, either. I don’t recommend putting any hat into any overhead luggage compartment. Who knows what’s up there? Body parts maybe. Weapons grade plutonium maybe. No nail clippers. I’m just saying: got a gun to my head, I go with the Classic Fedora SE. 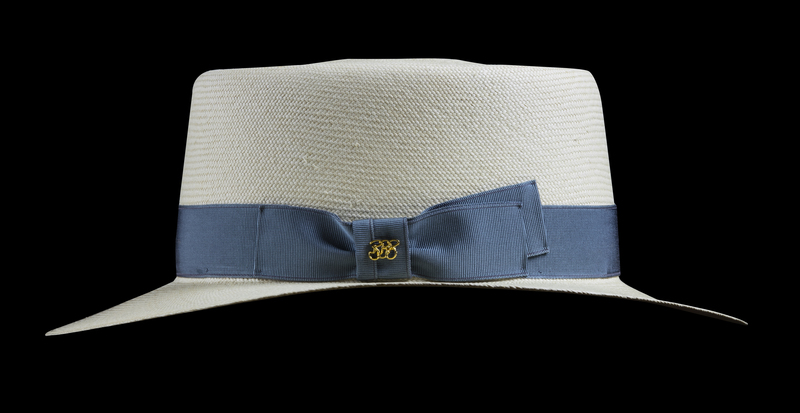 As you can see, changing the ribbon color and/or width changes the look, changes the personality of the hat. And perhaps your own as well. Sorry, ribbons are not interchangeable. Choose your favorite color. Or order lots of hats. Ordering six would not be considered excessive. Not by me. It is possible to imagine, if one stretches the mind, that there may be some wife or husband somewhere who might consider six hats all at once to be excessive. Fashion is like Physics. Some people just don’t get it. Find perfect. Make a decision. Take a position. You may quote me if it helps. Call it Black’s 12th Hyperbole. Makes it sound almost indisputable. If that doesn’t work, play Randy Newman’s You Can Leave Your Hat On , and act accordingly. If that doesn’t work either, you’re back to choosing your favorite color. Standard sweatband for this style is Antique Brown fine leather. Mombasa. I’ve always loved that word. It sounds so exotic, distant, dangerous. Mombasa, you may recall, is a major port city on the coast of Kenya. If you were going to East Africa on safari a hundred years ago, Mombasa might have been where you got off the boat and began your journey into The Dark Continent. You would want a good sturdy hat to shade you from the equatorial sun. A hat that also would look quite dashing in the flickering light of the evening cookfire. The Mombasa SE “Cocoa”would be a perfect choice. For both you and the Memsahib. Looks equally enviable on men or women. Classic center dent crown. Choice of brim width. Straw dyed a dirt-defying cocoa color. Choice of ribbon colors. Custom sized for a perfect fit. If you are a sensible soul who prefers to skip the safari-and-hot-sun stuff in favor of exploring the shaded veranda and libations at the lodge, you may prefer the dashing Mombasa SE “Blanco”. And I may join you on that shaded veranda. Let’s start with a Tusker beer, well chilled. A Mombasa Safari Edition is so tough that I guarantee it will even stand up to being trampled by an elephant. The nice adventurous shape will be history, of course, but the hat itself will survive a good trampling far better than you would. Simply return your elephant-trampled hat, along with photos and/or video of the trampling event, and I will replace your hat with a new one. The better the camera work, the more cheerfully I will make your replacement. It is perfectly acceptable to look adventurous and dashing, even when you are within five miles of home. Yes, even when you are in your own backyard, or on your own condo balcony. 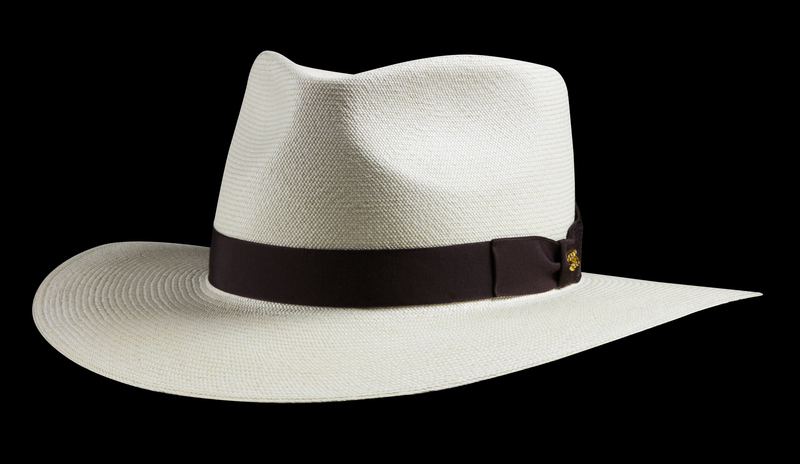 The Mombasa SE – either “Cocoa” or “Blanco” – is an adventurous and dashing hat. By extension, you look adventurous and dashing when wearing one. It’s easy enough to imagine you, Saturday to-do list in hand, journeying from place to place, wearing a Mombasa SE, looking adventurous and dashing, perhaps walking to the beat of native drums, as lions roar in your mind’s ear. Happens to me all the time. Another classic look. Another must-have style. The crown shape is the same as my Monte Carlo – a traditional “telescope” crown. 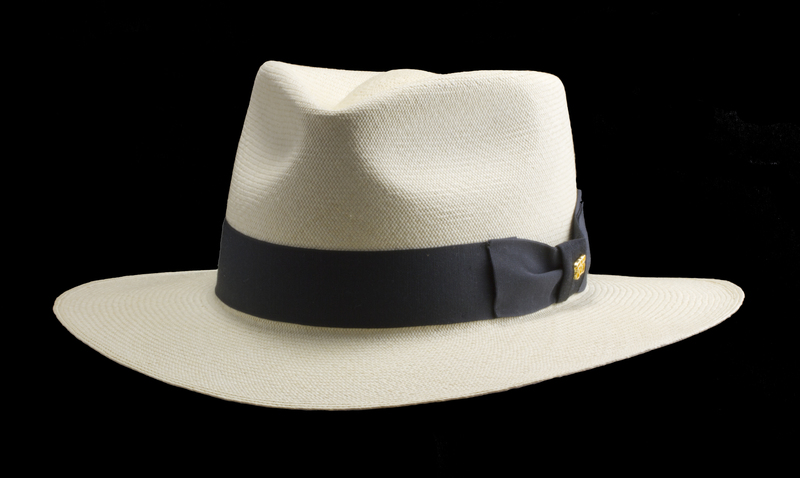 The Adventure Brim is the same as my Kentucky Smith® SE and Mombasa SE - flat but dipping down in front and back. Same choice of Cocoa or Blanco. The main difference is the attitude. The Bahama Beach suggests rakish angles, more than the other two crown styles. Wearing it dead level is an attitude of its own. 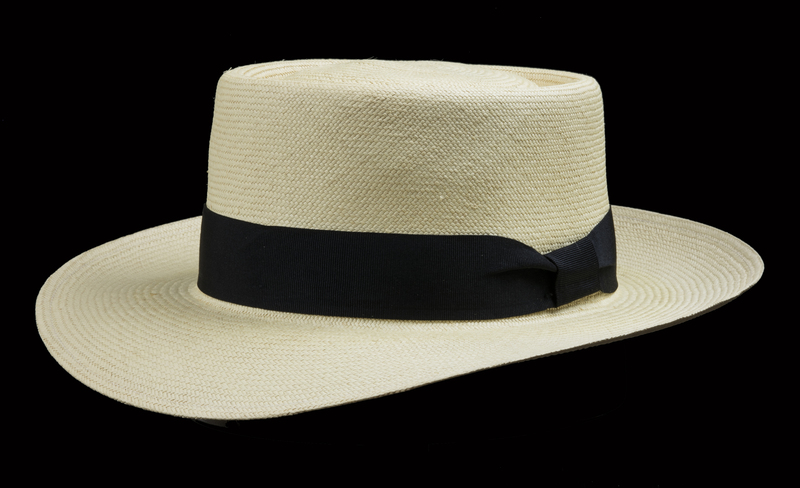 “Kino put on his large straw hat and felt it with his hand to see that it was properly placed, not on the back or side of his head, like a rash unmarried irresponsible man, and not flat as an elder would wear it, but tilted a little forward to show aggressiveness and seriousness and vigor. 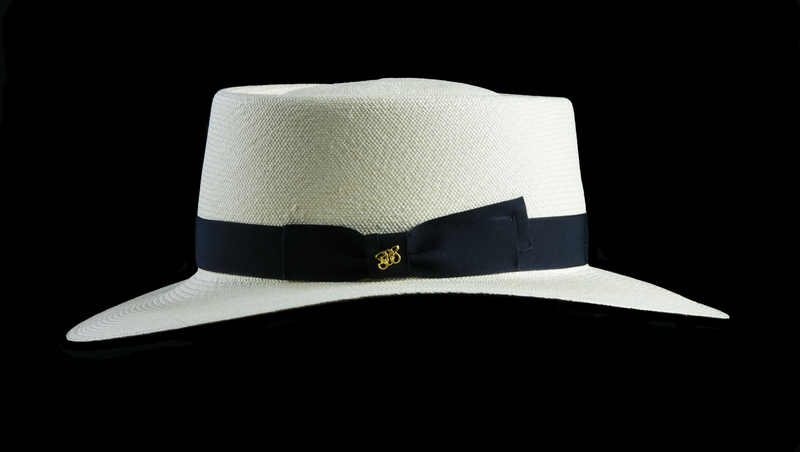 There is a great deal to be seen in the tilt of a hat on a man.” - from The Pearl. Angles and attitudes vary. What will yours be? 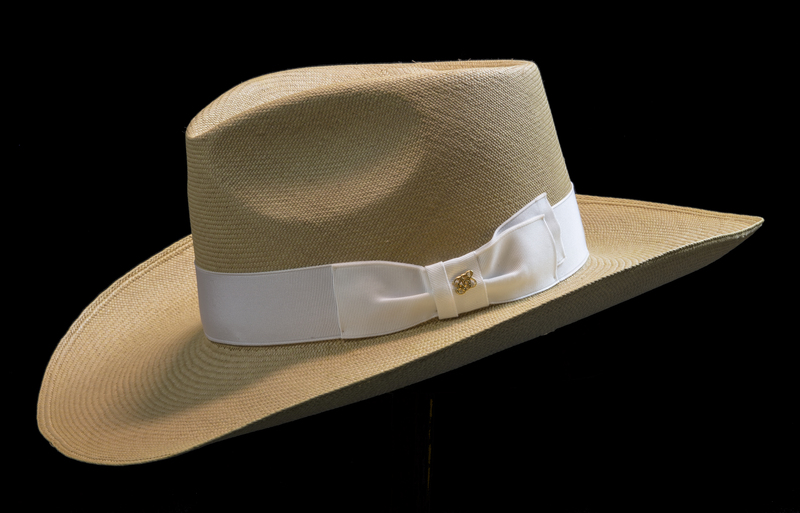 NOTE: You will see in the photos that the Extra-Wide Brims are a different shape than the Wide and Short brims. The x-wide brims in these photos are more “cupped”. 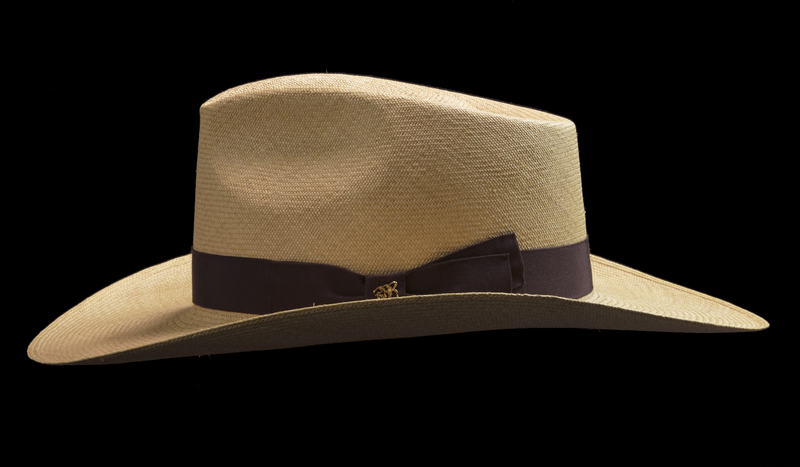 The brim edges lift up a little, compared to the others, which are Adventure Brims and are flat but dip down front and back. 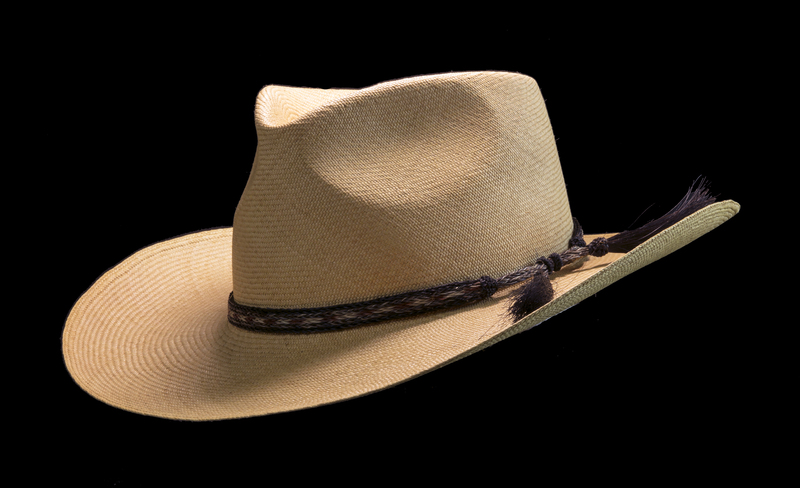 I can iron an x-wide brim as an Adventure Brim if you wish (more maintenance on your end). The Cocoa straw and the Ivory ribbon were made for each other, yes? Major fashion statement. Very tropical. Craves linen and silk. 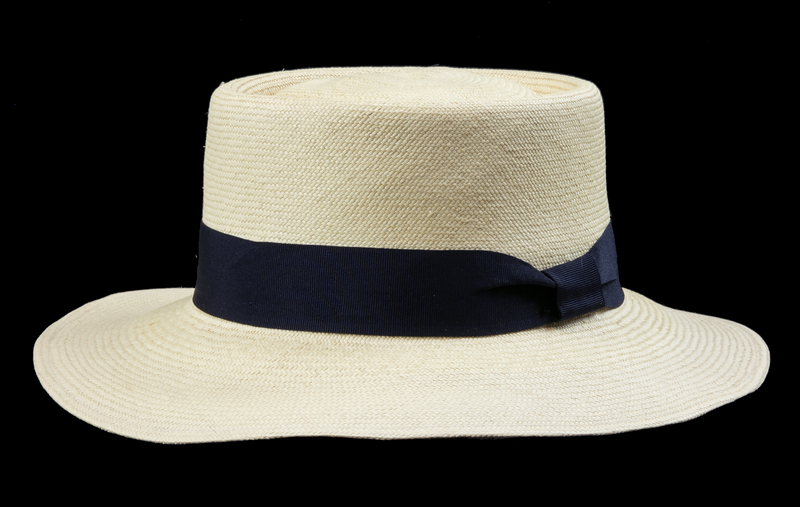 The classic Optimo dome and center crease evoke thoughts of British ex-pats presiding over the warmer colonies. This particular look suggests India to my mind. What one might wear after a hard day of Bengal Lancing. Freshen up a bit, then swan over to the Officer’s Club for an India Pale Ale, or two. Or twelve. Sit near a window, with the light coming from your side. Side light shows off the center crease better than front or back light. No matter how many compliments and free rounds come your way, do call it a night well before you are at risk of falling down and wrecking the hat. I hope your first thought wasn’t: “Can I roll it up?” Yes. If you must. But it looks so crisply shaped, so sharply creased, so smoothly rounded, so…perfect, just as it is. Why risk it? You’ve made it this far in your life without rolling a Cocoa Optimo with an Ivory ribbon, maybe you shouldn’t tempt the Fates. Standard sweatband for this style is brown fine leather. Standard ribbon for this style is 1 1⁄2 inch ivory. This is my most casual hat. I purposely crumpled my own personal Beach Porkpie to make it even more casual. (I call it Extreme Casual.) I like it that way. I like the wobbly brim. I like that it looks like it’s been around awhile, like maybe I sat on it a time or two. Which I did. For those of you who prefer a marginally less casual look, I will promise not to sit on your hat. This is a hat you don’t protect, preserve, or worry about. Just grab it and go. Beach, boat, backyard, golf, hardware store, picnic, pub, poolside, power lunch (if you are the power). 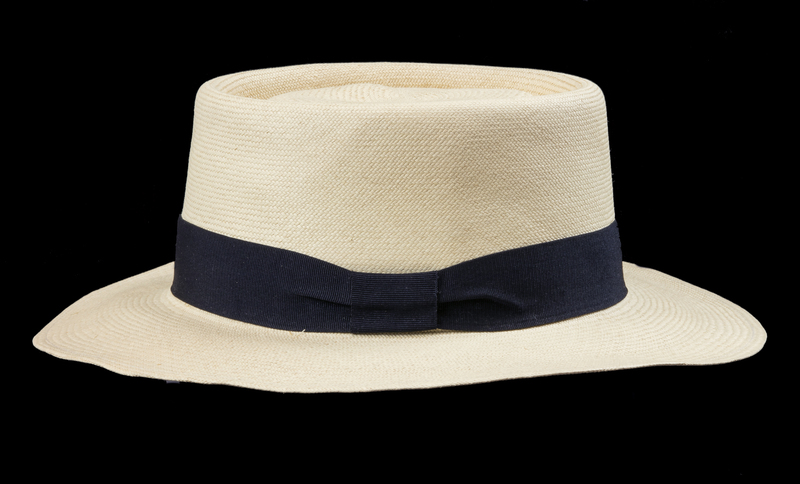 Wear the Beach Porkpie wherever and whenever you need a good-to-go, go-to-hell hat. Your attitude will become the hat’s attitude. Think about that. You need to be careful. Careful with your attitude. Shaping a hat’s attitude is an awesome responsibility. I think you can do this. I have a good feeling about you. Sizes not consistent. For best results, measure your head and I will find the best fit.